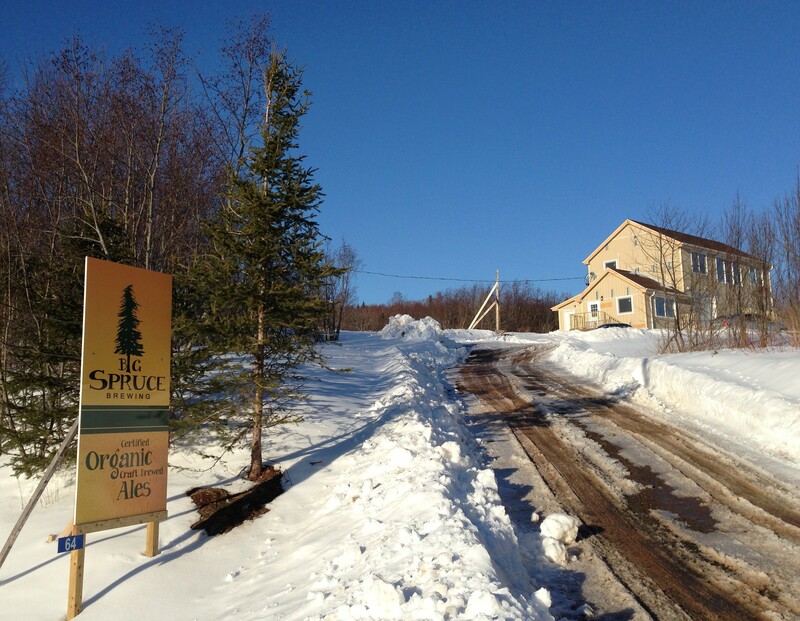 Big Spruce Brewing is in Nyanza, just seconds off the Cabot Trail in Cape Breton, NS. Owners Jeremy and Melanie White are getting ready to open this month, so I dropped by recently when I was in the area. Since our profile on them in the fall, there’s been a lot of activity! They are putting the final touches on their purpose-built building, which is surrounded by acres organic hops plants they use in their beers. Their 7bbl gas-fired QualityBrew brewhouse from DME is all set up, and they’ve done the cleaning and water testing and are ready to brew. 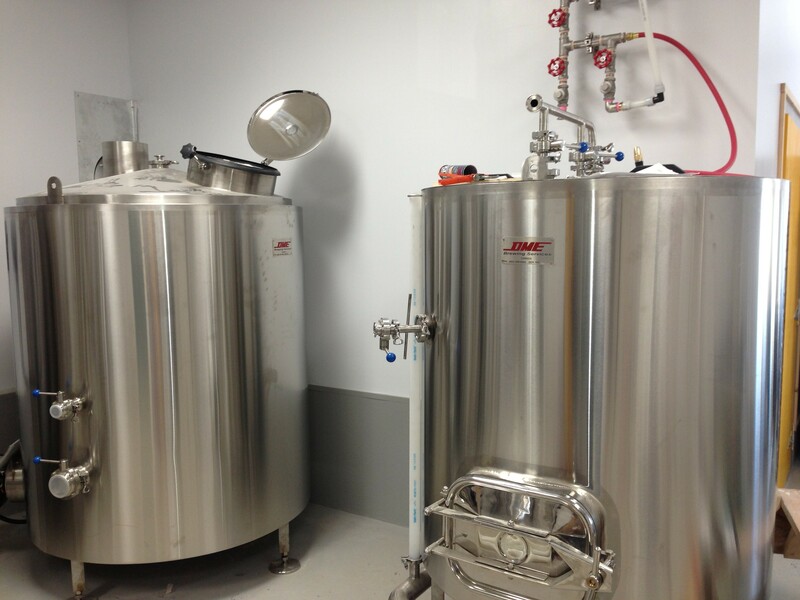 They also have a great cold storage room for conditioning their beer in five tanks, as well as storing kegs. Speaking of which, they will have kegs available for accounts in Sydney, Halifax, and parts in between, so their beer will be available to drink across the province. They will also be selling 2L growlers from the brewery as production ramps up into high gear. What about the beer? They will be starting out with two beer, that Jeremy has perfected after years of homebrewing, an Oatmeal Stout and Pale Ale. Look for seasonal offerings soon, too. Later in the Spring, their small restaurant above the brewery will be open a couple of nights a week, by reservation only. 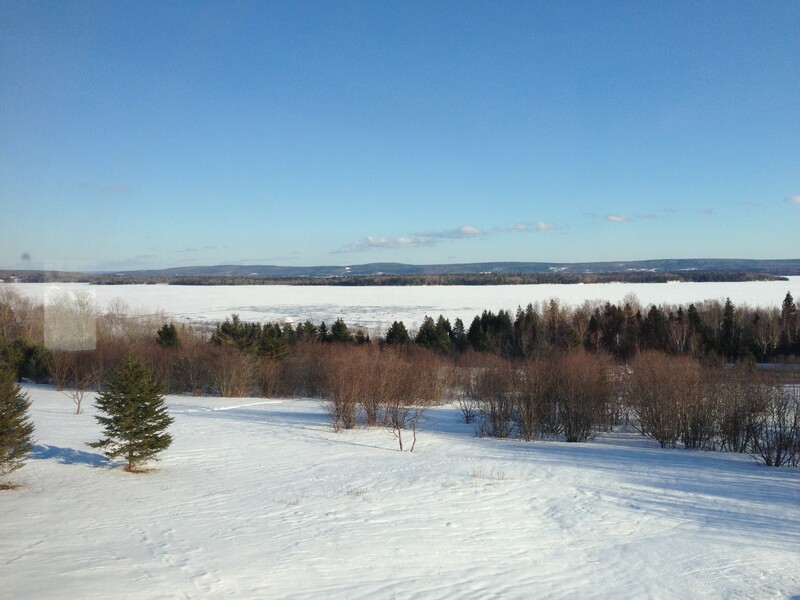 The view of the Bras d’Or Lake is spectacular, and I can see this becoming a destination for Cabot Trail travelers and locals alike. Congrats to Big Spruce, you are a welcome addition to the Cape Breton and Atlantic Canadian Craft beer scene! We’ll keep you posted as the details of their beer releases become available. You can also check out their Facebook Page for pictures and info. ← Fredericton Craft Beer Fest this Saturday at the Delta – We’re Going, Are You? Just saw that they’ve got their NSLC permits to brew, sell, and allow tasting of their beer. They’re legal now!